Source Audio has created the Soundblox 2 series of effects pedals with various features in a cast-aluminum housing. The company is releasing three new products in the Soundblox 2 format. The first two are Source Audio’s Multiwave Distortions available in both guitar and bass models. 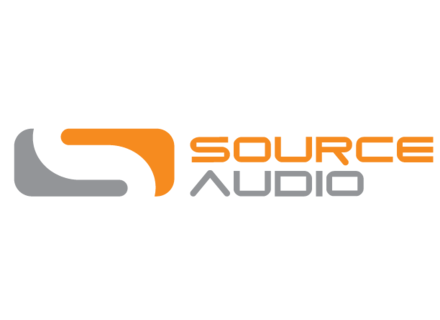 The third is Source Audio’s new Dimension Reverb, created by effects engineer, Bob Chidlaw. It features twelve reverb sounds and a range of controls. All Soundblox 2 pedals feature Universal Bypass (selectable buffered or true bypass), two user presets, 56-bit signal processing, and a multi-function input that supports MIDI, expression pedal, or Hot Hand control. All of this comes into a cast-aluminum housing with a 4” by 4” footprint. The Soundblox 2 series is expected to be $239, and will be available in the Spring of 2012. Source Audio Programmable EQ Source Audio announces the release of their new cast aluminum Programmable EQ pedal featuring four savable presets, an 18dB range over eight frequency bands, up to 12dB of clean boost, MIDI input, and a tremolo-like auto-scrolling feature. Soundblox Pro Bass Envelope Filter Source Audio has announced it will be celebrating the release of their new Soundblox Pro Bass Envelope Filter by giving away one pedal each hour to visitors of their NAMM booth #312 on Wanna Play Saturday July 23rd. Source Audio Soundblox Guitar Envelope Filter Source Audio has announced the release of the Soundblox Guitar Envelope Filter.